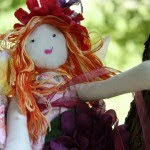 I love the doodles my little ladies draw and love to make them come alive using felt! 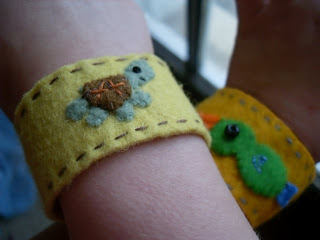 These bracelets were made by using patterns made from their doodles. 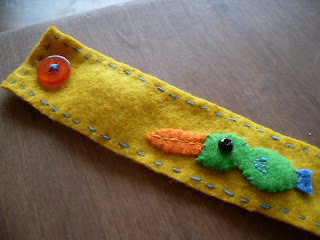 For this felt tutorial I'm am going to focus on the dicky bird bracelet. 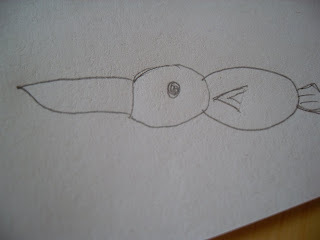 Have your little one draw a doodle, the doodle should be small enough to fit in a 1 inch width bracelet. You might want to draw a little box that is 1 inch in width and no longer than 4 inches in length; this will help guide your child to the appropriate size doodle for the bracelet. Now this is the part where your child picks out colors and tells you in detail how they want the doodle to turn out. 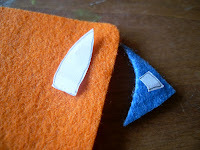 This is important and helps you decide where to make the cuts for the pattern pieces. Here, Rainy decided she wanted an orange beak, green body and blue tail. 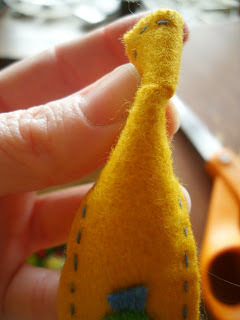 So I cut off the beak and tail, this left me with three pattern pieces. 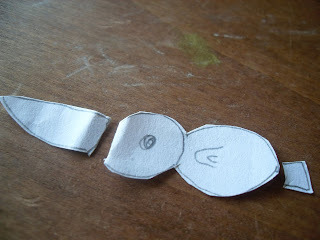 Then I cut out the felt parts of the dicky bird, using Rainy's doodle as the pattern. 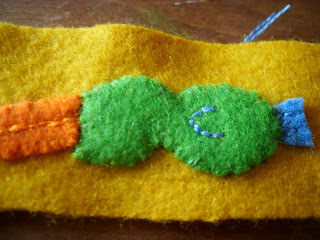 I used felt that is 30-40% wool. 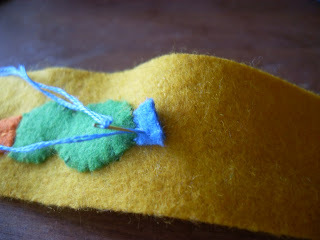 Craft felt doesn't "weather" well and 100% wool would be too itchy. 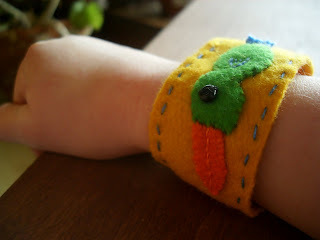 Pick out the bracelet band color and measure your child's wrist to the desired length that fits comfortably, add an inch or 2 for the button fastener. My girls have 17 and 18 inch bands in length. The width of the band is 1 inch for both girls. Lay out your pieces and see if that is the look you and your little one are going for. I used 2 strands of the 6 strand 100% cotton embroidery thread for this entire project. 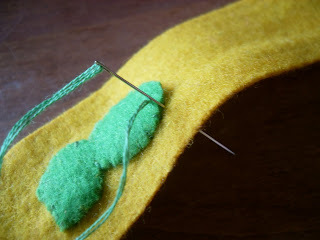 Thread your needle and sew on the main part of the doodle first. I used a very simple stitch here. 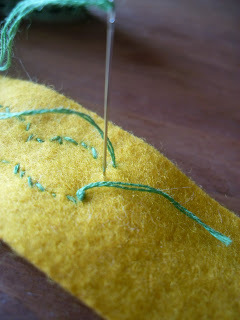 First put the needle through the back (in the gold). Pull it out through the front (through the green), put the needle back in through the gold, then pull it out through the back. 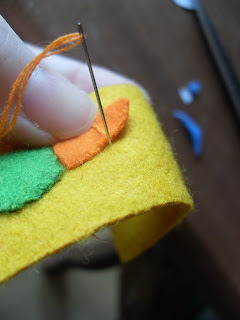 Repeat until the piece is completely sewn on. 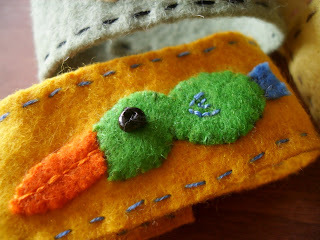 I then added detail to the beak using a running stitch . (Click on the orange for directions if needed). 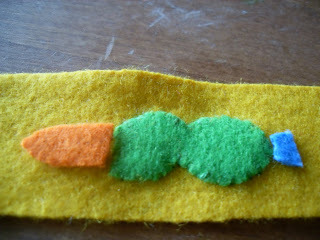 Then stitched on the tail and added detail, again using the running stitch. 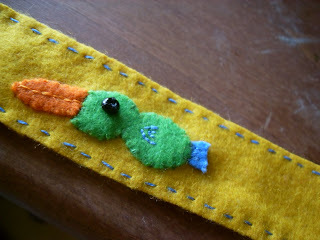 Now all dicky bird pieces are stitched on. 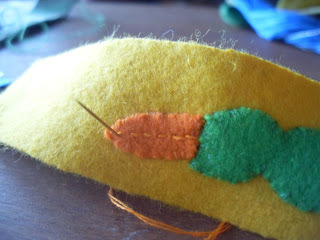 Time to add detail to the wing, using a running stitch. Then I added a black bead for the eye. 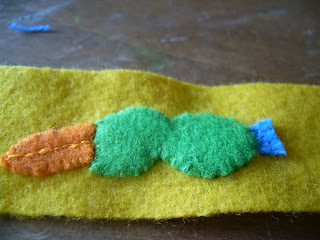 I also wanted some detail around the perimeter of the bracelet using the running stitch in a contrasting color. 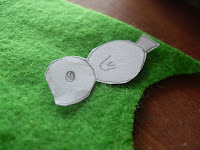 Now for the button fastener. 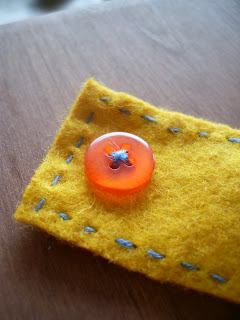 I sewed on the button about 1 inch from the edge. On the opposite end from the button I cut a small slit for the button hole. 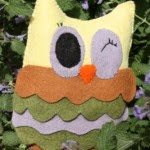 Then you are finished and have a nice way to show off a cute doodle done by your favorite pattern makers! Wonderful idea to use your kids' drawings. The bracelets are awesome. I'll be linking over to these! We are definitely doing this at home next week! Thank you for the easy-to-follow directions. 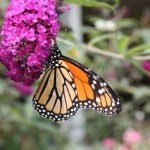 I've been enjoying your blog via my reader for a little while now! These are so beautiful! I just started a my first bigger embroidery project recently. I think it would be a wonderful and simple project to do with my daughter. Thanks! what a fantastic idea. im going to use this one on one of those day when my youngest needs something to do. Hi! I discovered your blog a few days ago. You have THE best ideas! Love, love, love them! I will be hanging out here a lot and borrowing many of your creative ideas. Thank you!! 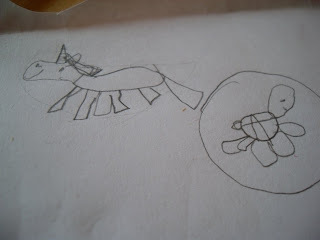 I've always loved the idea of making something from a child's drawing. I'm still waitinh for my son to do representational art, though. Thanks for the tutorial! I can't wait to try this. 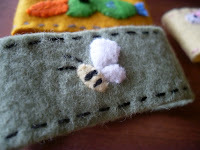 Silly question...where do you find wool felt? I only seem to find that cheap crafting felt at stores around here. Awesome! I know what we're doing today. Thanks. The way they'd spend their money. Though you might think it's funney. That's the way they'd buy and sell." Just thought I'd share, because dicky birds alway bring that one to mind. Thank you for the tutorial.Just wonderful. Where do you get the felt? That's really clever! My favorite part is how the bracelet looks so small when you're showing your tute but looks so big on that cutie little arm! 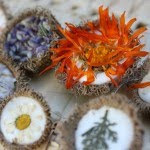 Great tutorial and very cute idea. 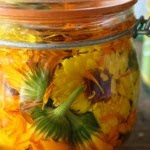 So happy to have found your blog via the Crafty Crow. 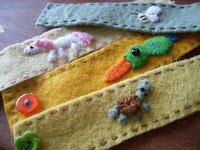 April at http://www.feltorama.com/ has a lot of beautiful felts to choose from. Cool, I love these! Congrats on Crafty Crow inclusion! 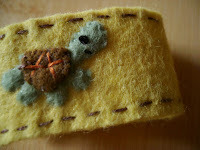 This is one of the cutest things I've seen on a blog in a long time! I love it and you have a memory of their doodle forever! Awesome. Thanks for sharing! That is so cute!!!!! 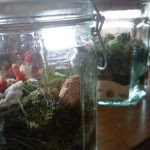 I know that my kids would absolutely love that project!! What a wonderful idea! My kids love to draw, yet I never thought of transforming their doodles into felt art! Your blog layout, photos, etc. are wonderful. 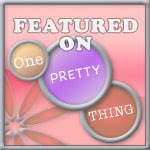 I've never figured out how to arrange my blog creatively; I am going to have to figure out how you do it! Nice and sweet idea! thanks for sharing! These are so charming! I really like the turtle one. okay, it looked so tricky at the beginning- I read through in disbelief... it sounds like something that can be easily done! Thanks. I'm going to give this a try! This really is easy, the thing I like about it most is that you don't have to draw a pattern yourself! saw you on Tip Junkie .. how CUTE is this!! Fantastic ... a great christmas gift idea too. I'm sure these can be turned into anything, a framed piece of art for grandma ... the list of ideas is endless! I don't mean this in a bad way, of course! Societal concerns aside... I just hope that as the price of memory decreases, the possibility of uploading our brains onto a digital medium becomes a true reality. It's one of the things I really wish I could experience in my lifetime.